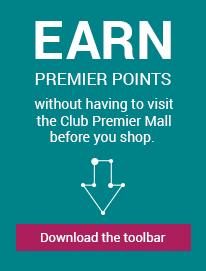 PMall Premier | Best Buy Co, Inc.
Special Terms: Member rewards not eligible on the purchase of gift cards or orders redeemed with gift cards or vouchers. Tax and shipping charges are not included in member rewards. Coupon or promo codes not displayed on this site are ineligible for member rewards. Member rewards exclusions include warranties, Laptops, Tablets, Desktops, Video Game Hardware (including Virtual Reality Hardware), Point of Sale Activation (POSA) Cards, Apple-branded Watches, services (including but not limited to Geek Squad services, etc. ), warranties or protection plans & selected goods on items purchased by members. Purchases made offline are not eligible for rewards. We offer three methods for shipping your orders: standard (4-8 business days), expedited (3 business days) and express (2 business days). Best Buy partners with UPS, UPS Mail Innovations and the United States Postal Service (USPS) to ship your packages. Standard shipping orders are shipped by UPS, UPS Mail Innovations or USPS. Expedited or Express orders are shipped by UPS. You'll receive a shipping confirmation e-mail that will confirm which carrier was used for your products. Shipping cost is calculated on a "per item" or "per pound" basis and is based on the shipping method you select. We sometimes offer free shipping in select categories, or free shipping site-wide. Best Buy Marketplace items are shipped directly from the seller. Where sales tax applies, your online order will show tax applicable to the destination to which your order is shipped, delivered or picked up, at current tax rates. Shipping charges may also be subject to tax in certain states. Best Buy is required to collect tax in all states where we have a physical presence. We accept Visa, MasterCard, American Express, Discover, JCB, Diners Club, and PayPal. Return or exchange your item up to 15 days from the original purchase date. My Best Buy Elite members have 30 days and My Best Buy Elite Plus members have 45 days from the original purchase date to return eligible products. You can return items to any Best Buy store in the US. You can also return online purchases by mail. The original receipt, gift receipt or packing slip is required for all returns and exchanges. If returning or exchanging an item in a Best Buy store, a valid photo ID is also required. Please note that certain items such as digital subscriptions, prepaid cards, consumable items, personalized items, etc. are not returnable.